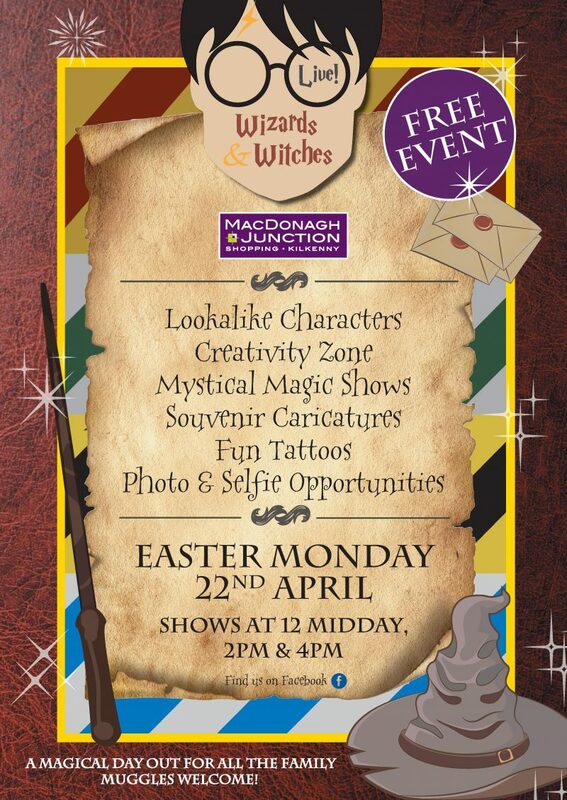 Join us this Easter Monday for our FREE magical Wizards & Witches event! With supernatural characters, mystical magic shows at 12,2 and 4pm, face painting and fun tattoos, caricature drawing, souvenirs and more, PLUS the chance to have your photo taken at Platform 9¾… You won’t want to miss this enchanting FREE event! Muggles welcome.